Each week, I use the hashtag #FridayReads to tweet about the book I’m currently reading. I also enjoy keeping a record of all the books I’ve read over the year. Last year ended with a dire (for good reasons) total and I hoped that I would reach 50 (I like round numbers) books in 2017. Unfortunately, my current read will only make a total of 46. As in previous years, I noticed that I unconsciously read more books written by women and also mainly set in the UK, particularly in Scotland or Ireland and contemporary rather than historical. I suppose it’s natural to veer towards the genre that I choose to write but this year I made an effort to try to redress the balance. Out of the total, I also read 1 short story collection, as well as 1 non-fiction, 1 children’s novel and 2 Young Adult novels as research for my day job work. I enjoy reading book reviews and seeing recommendations on Twitter which means that I carefully pick my next read and the result is that I rarely make a poor choice. But occasionally, I make an impulse buy and one of these was the only book I failed to finish this year. 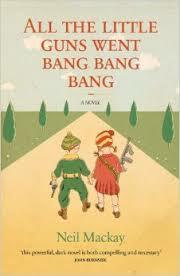 I’m drawn to dark themes but sometimes I like to lighten the mood with a more heart-warming book. I bought a major bestseller at the airport for a holiday read but I abandoned The Keeper of Lost Things by Ruth Hogan after 100 pages. 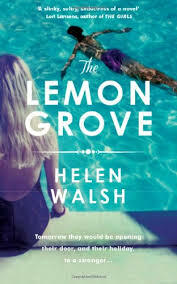 It had an interesting premise and I liked the opening pages but the characters and plot felt too twee for my tastes and I couldn’t bear to read on. There was only one book which I wished I hadn’t bothered to finish and it was Mercy Seat by Wayne Price. I was thankful that it was a charity shop purchase or I’d feel robbed. One thing I noticed about several books I read this year was that speech marks weren’t used for dialogue. This seems to be a trend but for me it serves no purpose other than making the reader work harder than necessary. This style didn’t put me off any of the books but did irritate me. Call me old-fashioned but speech marks have a function so why not let them do their job? I understand that sometimes the style is used to convey a stream of consciousness and can be effective but often it adds nothing to my experience as a reader. As a writer myself, I’m more concerned with keeping the narrative flowing rather than adopting pretentious quirks. Rant over. I also noticed that slavery seems to be a popular theme in fiction and my current #FridayReads is Sugar Money by Jane Harris. This is the third slavery themed novel I’ve read this year and it’s shaping up to be as powerful a read as the other two. The next novel on my TBR pile is The Heart’s Invisible Furies by John Boyne. I have high hopes for this chunky novel and look forward to 2018 being a bumper year for quality fiction (with speech marks, please!). What were your top picks of the year? On Monday, I went along to the Low Museum in Hamilton to hear my friend and former MLitt classmate, author Ethyl Smith, talk about the 17th century period setting of her debut novel, Changed Times. It was a fascinating illustrated talk about the Covenanters and the important role they played in Scottish history. The Read The Past Imagine the Future campaign is supported by the Scottish Library and Information Council (SLIC). The campaign’s goal is to raise awareness among people of all ages to discover what their local library offers and aims to encourage reading throughout communities across Scotland and to widen knowledge of local and national history. “It wis organised by South Lanarkshire Leisure tae promote reading thru libraries. Seven titles wur chosen tae be available fur readers groups across the county and ‘Changed Times’ is ane o them. It’s sittin alang wi some famous titles so ah’m weel pleased tae hae crept in there aside them. The theme for the promotion is ‘touch the past imagine the future’ an ah wis asked tae speak aboot the past …. Me bein auld an ma book bein aboot a time 300 hunner years ago. It wis held in the Assembly Room which is awfy big an posh. Ah felt lik a fish oot o watter in sic grand surroondins. When ah arrived thur wis a big foto shoot which wis a strange experience fur somebody as hates bein snapped then folk stertit comin in … An they kept comin till the place wis fu. Ah began tae wunner if ah wis in the wrang place but naw they’d come tae hear aboot the Covenanters. Hert in ma mooth ah began an they aw listened, an luked at ma slides, an laughed in the richt bits. .. Believe it or no thur is humour in that time. Richt enough wi some o it if ye didna laugh ye’d greet. A yapped on fur an hoor an hauf an maist o ma audience wur still awake at the end which wis a relief. They said they’d learnt a lot aboot the time, asked questions, wur amazed an saddened by much o it, said thur wis a lot tae think aboot then gied me a big clap. SO sharin information aboot oor heritage wis worthwhile …. folk dae want tae ken.On this occasion we wur sittin quite close tae the site o Hamilton Palace which hud close connections wi that time in history. The seven-month Scottish national reading promotion celebrating the Year of History, Heritage and Archaeology focuses on Scotland’s heritage and depicts images and ideas of the future. Library users can also enter a competition to win a £50 book token by submitting a book review, either to their local library or on Twitter using the hashtag #ReadThePast17 What’s not to like? And if you get a chance to read Ethyl’s book or hear her speak at an event you’re in for a treat! For the last couple of years, I’ve kept a record of the books I’ve read (I know, I need to get out more!) and 2015’s total was 44. This wasn’t as many as I’d hoped to read but life got in the way. This year, the total is a pathetic 14! But I have a very good excuse… life didn’t just get in the way, it changed, BIG time. The major change was that along with my business partner, Anne Glennie, we set up Cranachan Publishing and this made a massive impact on my reading habits. I started the year with a healthy tbr pile courtesy of Santa but sadly some of them remain on my beside table. No sooner had Cranachan opened to submissions our inbox was flooded with sample chapters and there was a steady flow throughout 2016 which equated to hunners of thousands of words being read by us both! From these initial submissions, we requested 12 full manuscripts and from these we signed 7 authors. This makes my lack of ‘pleasure’ reading in 2016 understandable but still disappointing as I’m constantly hearing of books I “must read”. With limited time for my own choice of reading material, it’s meant that I’ve had to be even more ruthless and I’m far more likely to abandon a book these days after only a few pages (I used to operate a ‘you’ve got 50 pages to hook me’ rule). I also now find it hard to read without my editing ‘hat’ on and with a critical eye, the act of reading isn’t as relaxing. But the upside is that although I’ve given up on quite a few books, the ones I did finish were all very good apart from two * which disappointed and weren’t worth persevering with to the end. The others on the list were all excellent. Last year, my top pick was by Benjamin Myers and this year I read Beastings by him and it blew me away too. How to be Both by Ali Smith didn’t appeal but it was highly recommended and I’m so glad I listened to the praise as it was such a very clever book. But hard though it was to choose, I settled on my favourite book of the year as My Name is Leon by Kit de Waal. This short video explains why I picked it and reminded me that I was glad I had an appointment at the hairdresser the next day! Here’s the full list (in order of reading) which is once again dominated by female writers (10/13 to save you counting!) although the gender bias is always unconscious. What was your favourite read of 2016? My new year’s resolution is to get my personal reading back on track and tackle my TBR pile that Santa will hopefully add to! Last year I listed the books I read in 2014 and it was a surprise to me to learn that from the total of 43 there was a gender bias in favour of women writers with me reading only 15/43 male writers. I was interested to see how 2015’s list compared. I didn’t make a conscious effort to read more male writers and I also felt I hadn’t read as many books this year (before and after my own book launch, ma heid wis mince, and I found it hard to concentrate on reading) so haud me back, the figures were almost identical to 2014’s stats! This time the total was 13/44 male writers – women win again. I finished all of the books on the list apart from one book, a huge best-seller which I was very late to the party in reading (what’s new? trailblazer I am not!). I might struggle to find anyone who agrees with me but I abandoned it out of boredom and not feeling engaged with the characters. John-John Wisdom is one of the most memorable characters I’ve met on the page. All others on the list are well worth a read but if I had to choose my top read of 2015 (which is really hard!) then I’ve got to thank Naomi Frisby for recommending Pig Iron by Benjamin Myers. This book appeared on my radar as I expressed an interest in writing using regional dialect and it blew me away with its powerful prose. On the X Factor, they announce the results “in no particular order” but here’s my list in the order I read the books. Did you have a favourite book in 2015? How many books did you read this year? I’m an avid reader (although there’s NEVER enough time to read all the books on my tbr pile) and my taste is not restricted to any particular genre. I recently blogged about my unconscious preference for female writers and one of the comments on the post was how many books Louise Walters (a writing friend from Twitter who’s debut is well worth a read) had read in 2104 and the breakdown of male/female writers. It made me look up the back pages of my 2014 diary where for the first time ever, I’d kept a record of the books I’ve read (or started to read) in 2014. Interesting (to me anyway) there was indeed a gender bias with 15/43 on my list being male writers. 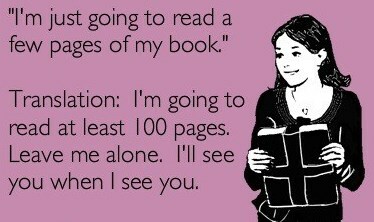 Also, a surprise to me was I hadn’t read as many books as I thought as I’d assumed that I read roughly a book a week. But when life gets in the way of reading (I might’ve read more on holiday if I’d been lying on a beach but in Switzerland & Norway I was too busy then too tired to read much) that wasn’t the case (I blame Shantaram for taking up 3 weeks of my reading life and not being worth the investment!) With hunners of new books released daily (not to mention all the millions of books already out there) I always find it fascinating to see each week what the folk on Twitter mention on #FridayReads. When the book choice is tweeted from someone whose opinion I respect I often seek out the book and also follow excellent review blogs such as On the Literary Sofa, The Writes of Woman and A Life in Books. However, I’m a lover of charity shops and often can’t resist a gamble on a book for 50p. So between, Twitter, random charity shop purchases, a list of ‘must read’ books and a desire to support contemporary Scottish fiction (my thinking is that if that’s what you write, that’s what you should read) I’d say that my reading choices are quite diverse (albeit with 66% written by women) and although my gender bias might’ve been unconscious, I do deliberately vary my reading. If I’ve read something very dark, I pick something a lot lighter in tone next and if I’ve read something set in Scotland, I choose a book set in a different country to follow. Another issue I’ve blogged about is my reluctance to write reviews but I’m happy to highlight the books which really stood out from my eclectic 2014 reading list with an * (the list is in order of reading, not ranking). 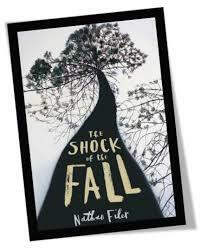 If I had to pick out my favourite book of the year it would be The Shock of the Fall by Nathan Filer. They’re all worth a read for different reasons but I now apply the 50 page rule and if I haven’t engaged with the book by then, it’s off to the charity shop with it. The best book I read in 2014. What was your top read of 2014? 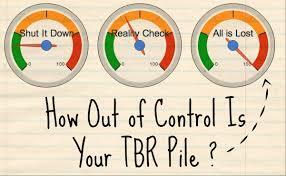 How many books did you manage to read this year?